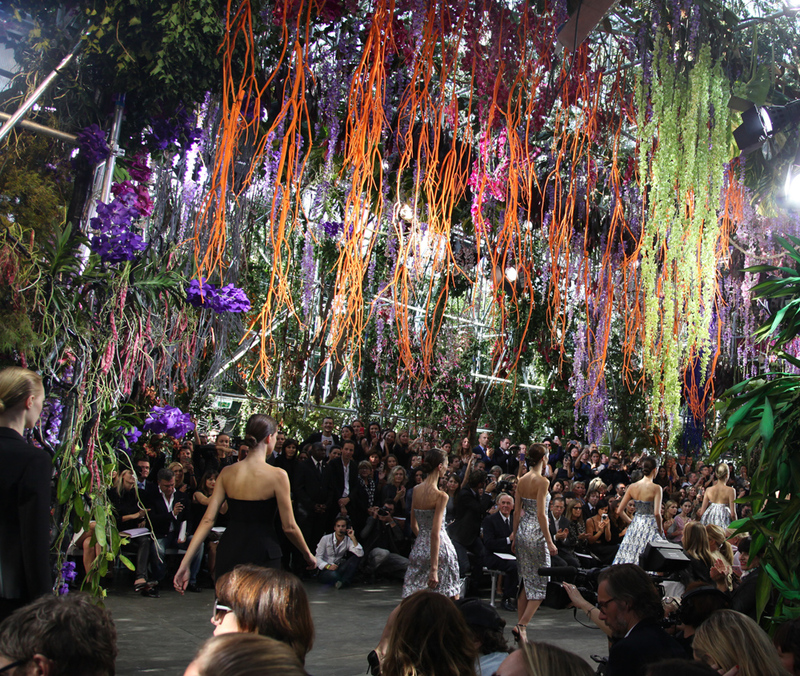 When you see an amazing set on a fashion show, sometimes you ask yourself what do they do with all these props, it is sad to think they would just be used for a day and then thrown away. 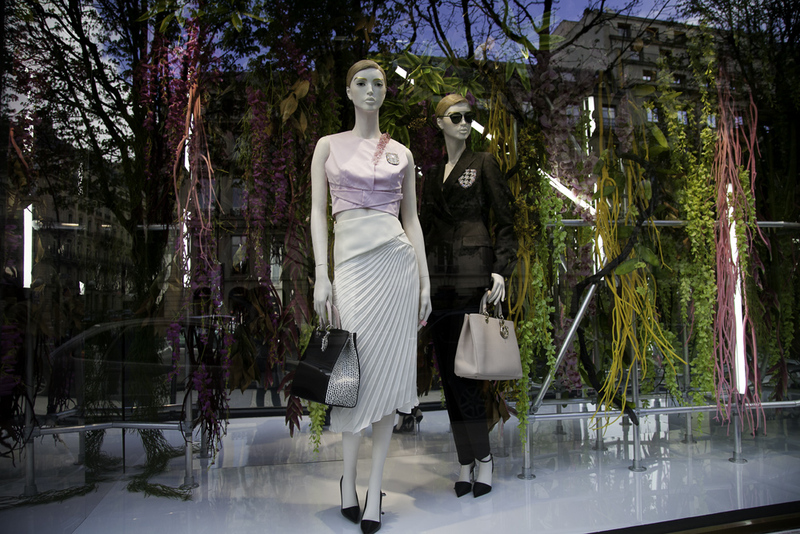 Sometimes is the case, but sometimes not, all props go all over the world to become the decoration of the most important windows of the brand, the windows becomes a reminiscence of the show which is quite beautiful if the merchandisers capture the whole feeling. 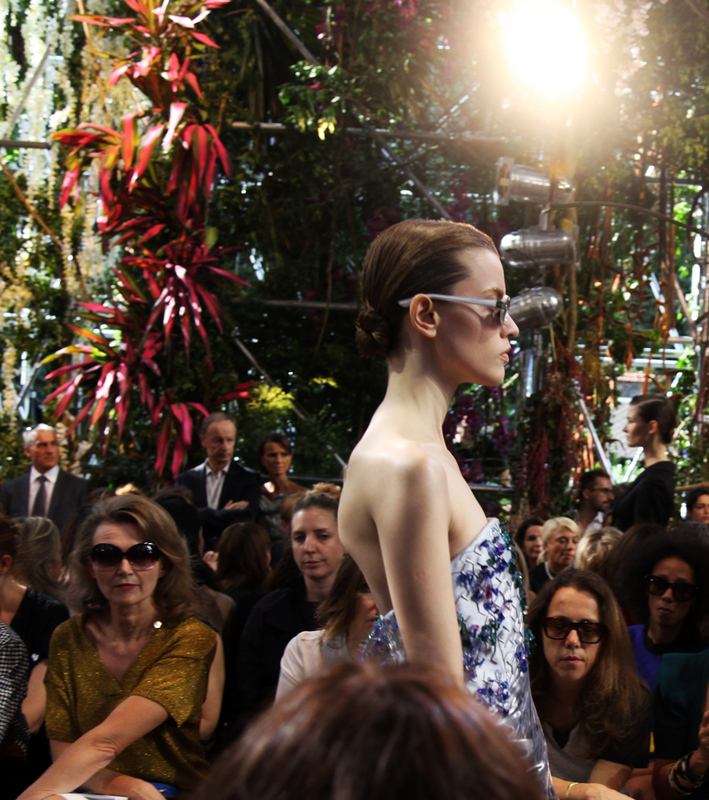 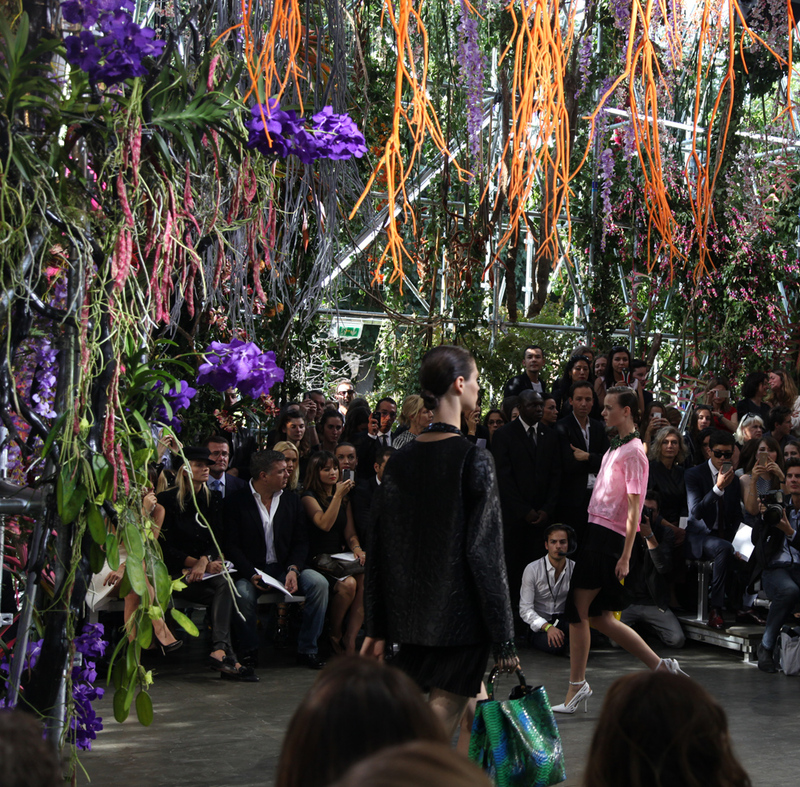 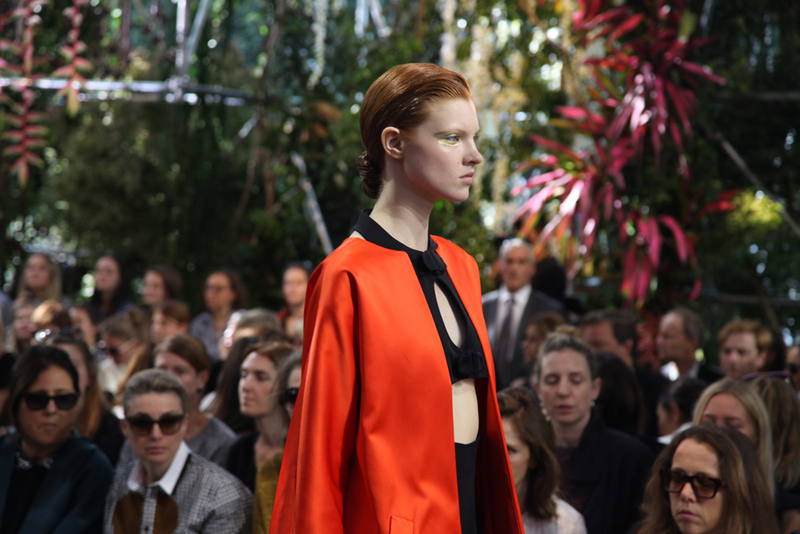 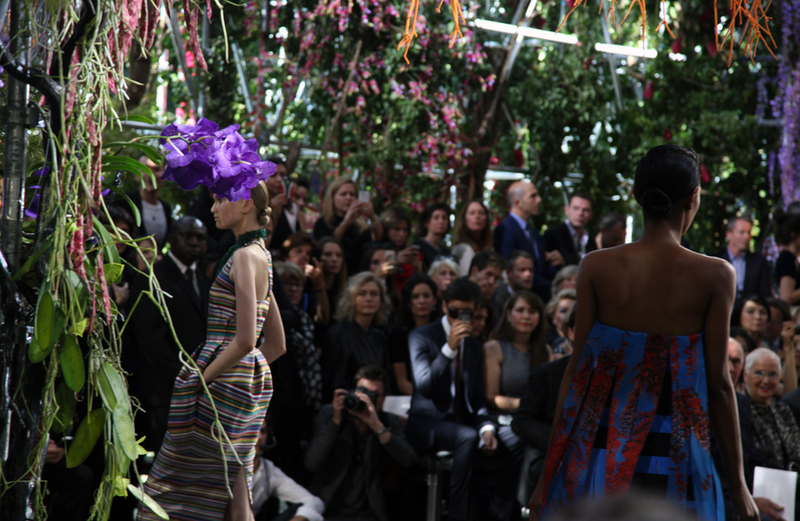 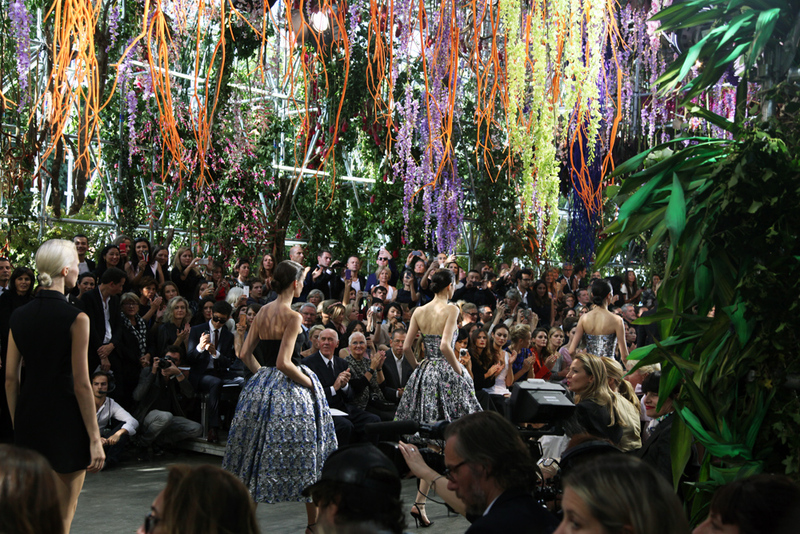 In September in the the Spring Summer show of Dior, Raf Simmons recreated something between a botanical garden and an exotic flower paradise (just the birds sounds where missing), meters and meters of nature covered us all, taking us from Paris to a tropical dream that was the perfect frame for Simmons creations, it had contrasting matching colors which made the whole visual experience amazing. 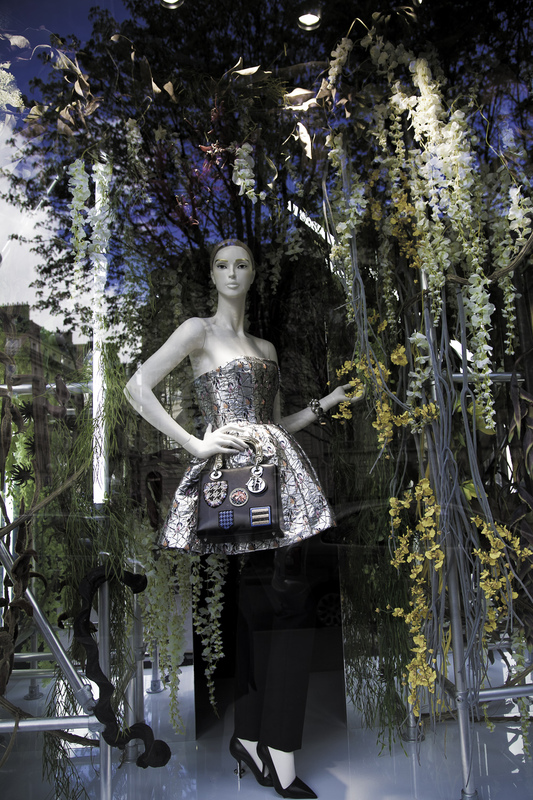 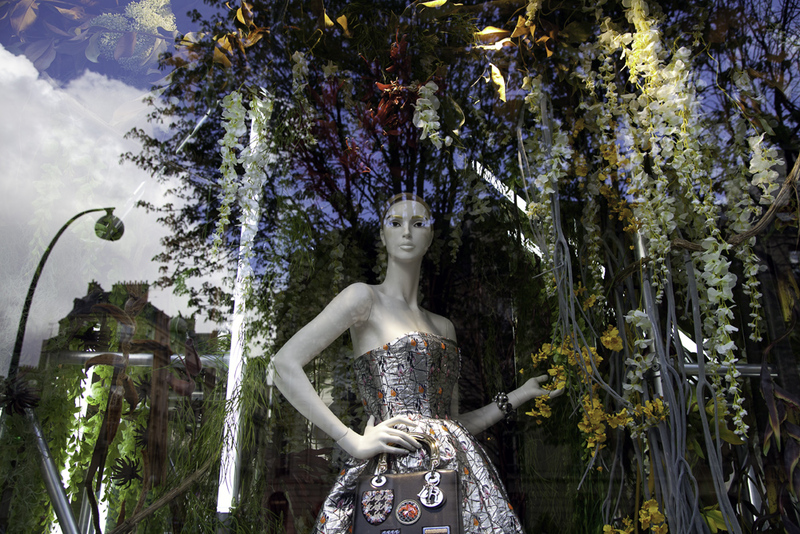 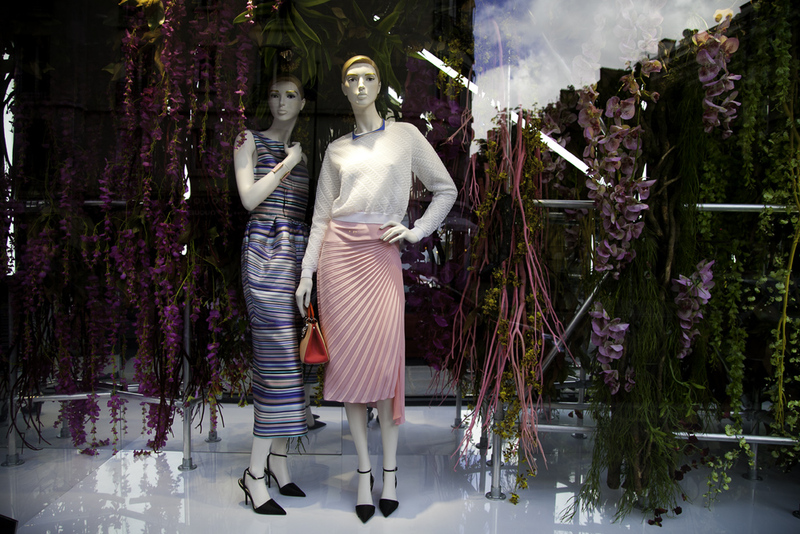 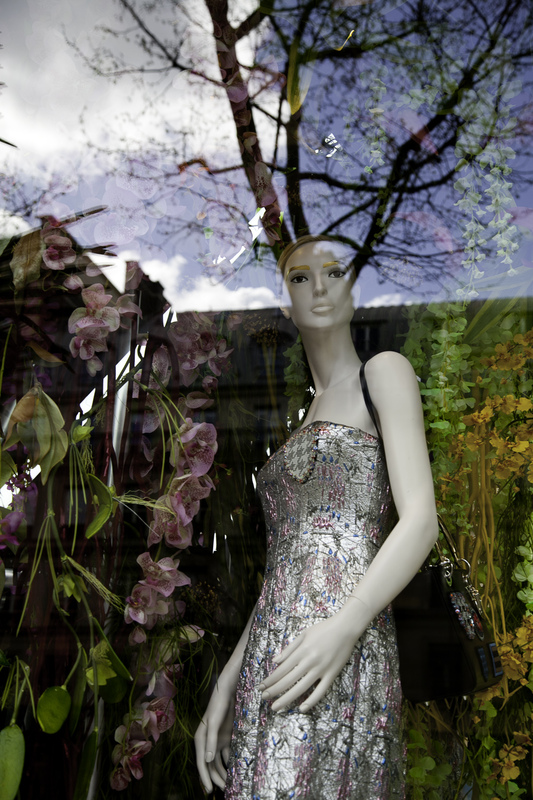 In these days you can find all those flowers in the windows of the Dior flagship in Avenue Montaigne and other stores in Paris, recreating in a valid way the whole scenario of the show. 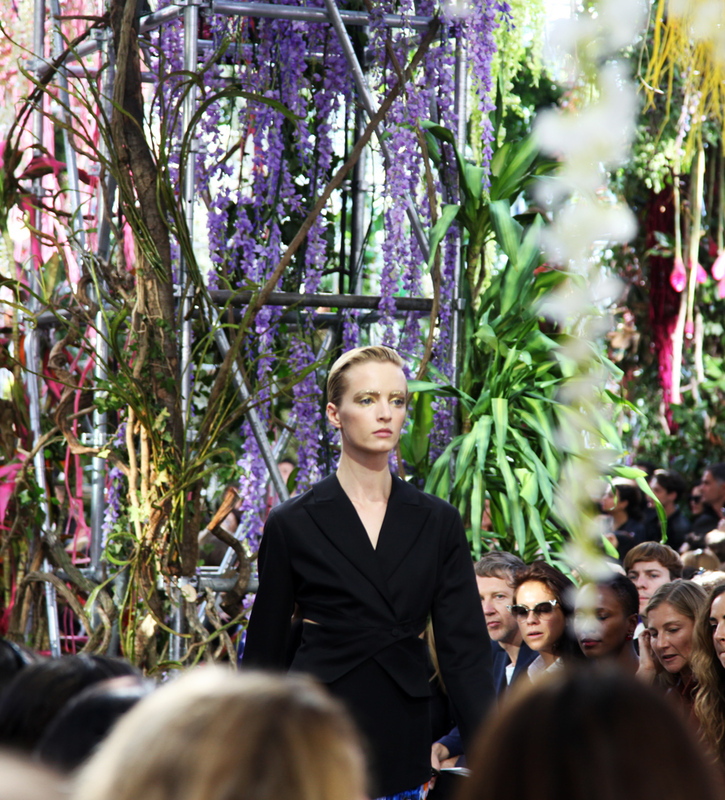 A big bravo for the merchandising team at Dior. 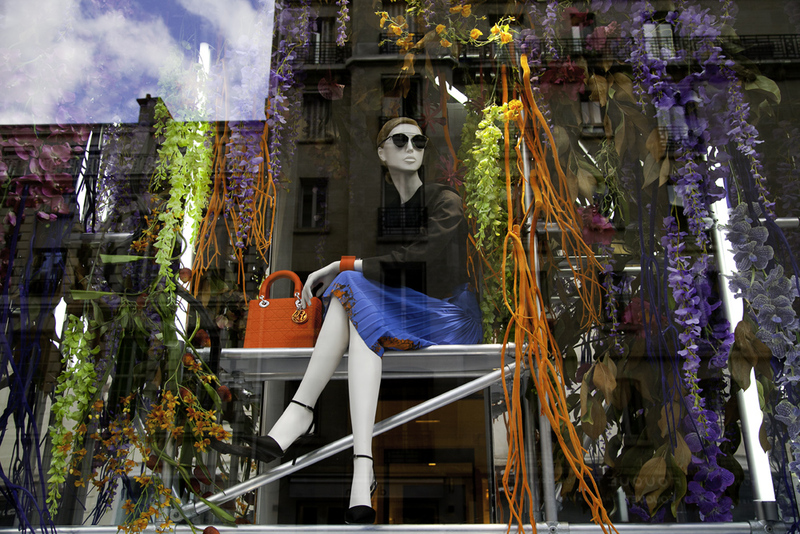 It is said that Chanel will do the same with the Super Market, dressing all the windows with Chanel Merchandise, I will be watching :).